The girls innovative edge on performing will maintain your audience in suspense while they bring the "Wild West" back to life. 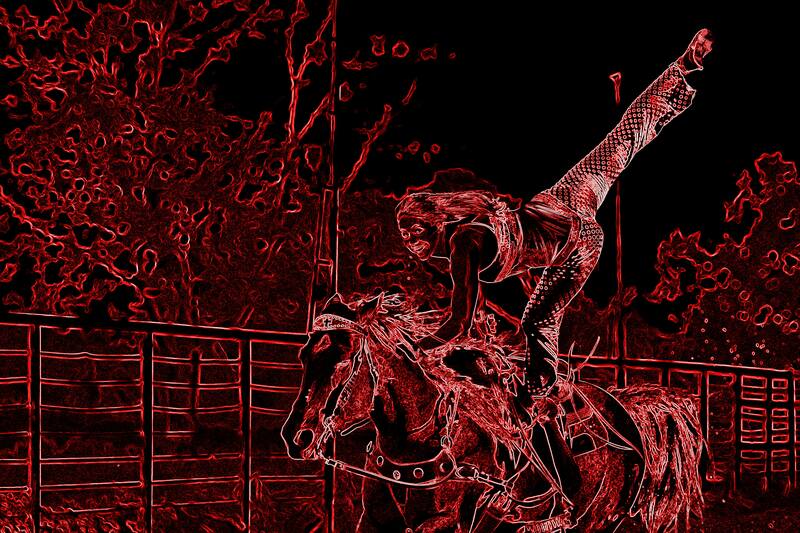 The girls believe in the tradition of daring horsemanship. Allow the girls to perform at your next event and you will become a believer as well. The girls love to help promote events by offering autograph sessions, sponsorship appearances, parades and more. The girls offer private lessons and clinics at the ranch or they are available to come to you. Offering a fun way to learn the history of trick riding, parts of the trick riding saddle, along with how to safely execute and learn trick riding. We also on special occasions have trick riding horses available for purchase. Needing a fun clinic but do not want to be a professional trick rider? Want to try something different? We host just for fun trick riding clinics as well! Give the girls a call, they would be happy to discuss options with you. The girls start colts, provide tune ups and can help you with your horsemanship from the ground up. Contact them today to see how they can help you and your horse get on the road to success!